Salernes is a town in the Upper Var region of Provence between Entrecasteaux and Aups, in a picturesque setting in the valley of the Bresque river. Salernes is best known for its tradition of tile making, especially for the trademark terracotta floor tiles of Provence - hexagonal tiles known as tomettes. The industry is still active around the town today and you will see the smoke from the kilns in various places around the town. 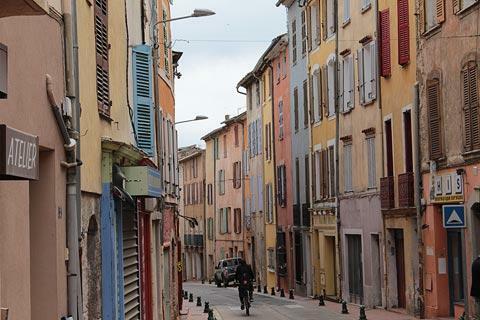 Furthermore the area is said to be oldest area in western Europe to have made pottery, more than 7000 years ago, hence Salernes is known as the 'Cité de la Ceramique'. France This Way comment: you will notice several pottery shops as you stroll around Salernes, and these are a large part of the reason why visitors come to the town. 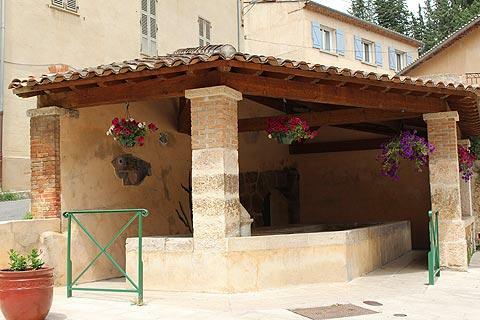 There are others in the surrounding countryside: you can get information from the Salernes Tourist Information point in Place Gabriel Péri. 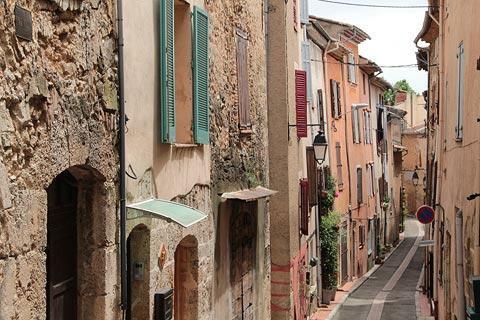 In the old town of Salernes you can explore the narrow streets of the medieval centre that grew up around the castle. 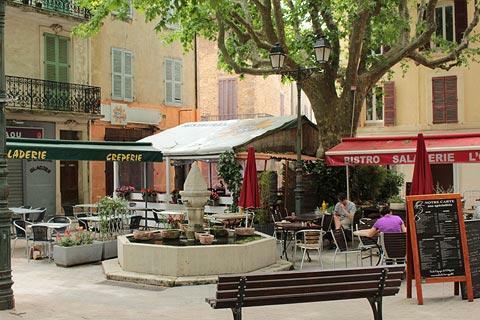 In the streets note particularly the several fountains that are found in the town for example in the Place de la Revolution, before stopping in one of the many cafes to be found around the central square, lined with plane trees. 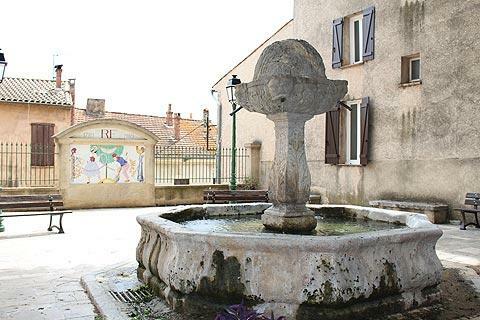 The most important historic monument in Salernes is the 13th century Church of Saint-Pierre on Place de la Republique. The church is in the roman style and has a tower with one of Provences' trademark wrought iron campaniles. Although it is now in the centre of the town, in medieval times this was the edge of the village. 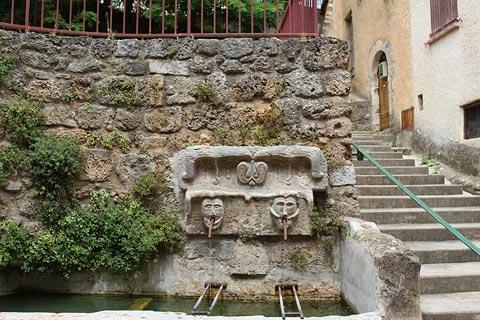 The other historic artefacts that you will see in Salernes include several fountains, washhouses and traditional oil mills. The ruins of the chateau at Salernes stand above the top of the village and offer good views across the rooftops. The origins of the castle are unknown, but it is believed to have existed by the 11th century. The ruined towers are all that remains of the castle after a fire in the 17th century. Just below the village you can see an ancient stone bridge, then explore along the pretty shady valley and little caves of Saint-Bartholomew - a good place for the children to run around exploring and to paddle in the river. Be sure to bring a picnic. On the eastern approach to Salernes, you can visit the Museum Terra Rossa. This historique factory for making tiles has been converted into a contemporary museum of ceramics where you can see various historic artefacts excavated in the region as well as a very extensive display of painted French tiles from the last 400 years. The museum also holds various temporary exhibitions. 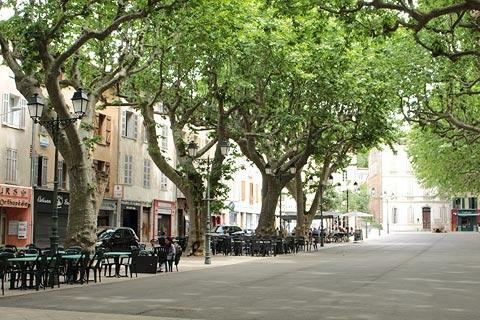 Less visited than some parts of Provence, this is a good region to discover traditional Provencal towns and villages - there are several in the surrounding region. 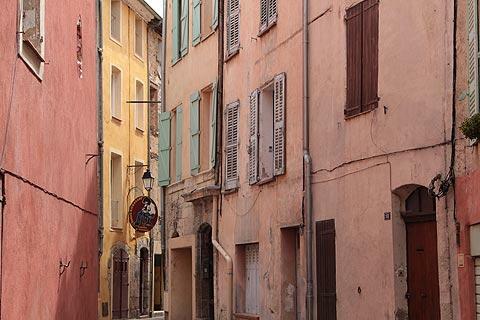 These include Tourtour, listed among the 'most beautiful villages in France' and Entrecasteaux - both are just a few kilometres from Salernes. We also recommend you visit the roman style 12th century abbey at Le Thoronet, where substantial parts of the original abbey complex to be seen, including the cloisters and the large abbey church.